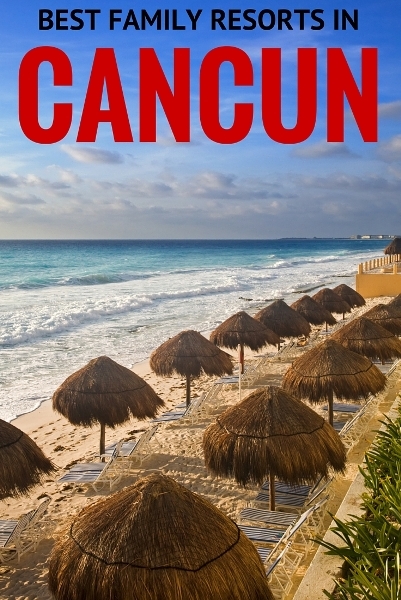 Cancun offers family friendly activities galore, with economical and fun attractions for every member of the family. A day trip to Isla Mujeres includes a ferry ride, with the option to tour the island by golf cart and swimming in the turquoise water at North Beach. 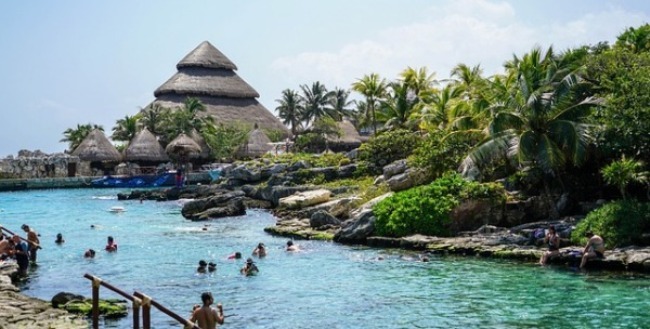 Xel-Ha in the Riviera Maya, about an hour down the coast, is a natural aquarium with many activities such as flying a kite, snorkelling and bike riding. Dolphin Discovery allows children of all ages to get up close to friendly sea mammals, and perhaps even get a kiss from a dolphin as it leaps from the water. 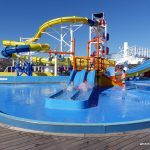 Sea Adventure waterpark is perfect for a day with younger children, and Wet ‘n Wild offers thrilling water fun for the whole family. Feed spider monkeys or hold a baby alligator at Crocosun, an interactive conservation zoo located about 19 km from downtown Cancun. For an exciting evening out, the Captain Hook Pirate Dinner Cruise provides dinner and swash-buckling entertainment on an 18th century Spanish galleon replica as it cruises the waters of Cancun’s Hotel Zone. Sunshine and endless activities are what draw families to Cancun year after year, and family friendly hotels offer a wide range of options. Below, we share our list of the best family resorts in Cancun – separated by all inclusive family resorts and ones that are not – to help you get the most out of your trip! This stunning oceanfront resort is definitely a top choice for an all-inclusive family resort in Cancun. The mix of entertainment and activities keeps all members of the family busy, however relaxation and pampering are offered in the form of luxurious amenities and features such as a sauna, spa, massage and fitness centre. Located in Cancun’s Hotel Zone, this first-class resort offers rooms and suites with a double hot tub, private balconies and free Wi-Fi. Suites feature free music streaming channels along with a fully stocked minibar. Family suites are interconnecting rooms on the lagoon side, and offer a dual hot tub and a flat-screen satellite TV. A spacious outdoor pool overlooks the ocean, and 2 tennis courts, a kids and teen club are just some of the facilities at this family friendly Cancun resort. Nightly entertainment is offered and there are 5 gourmet restaurants located on-site. 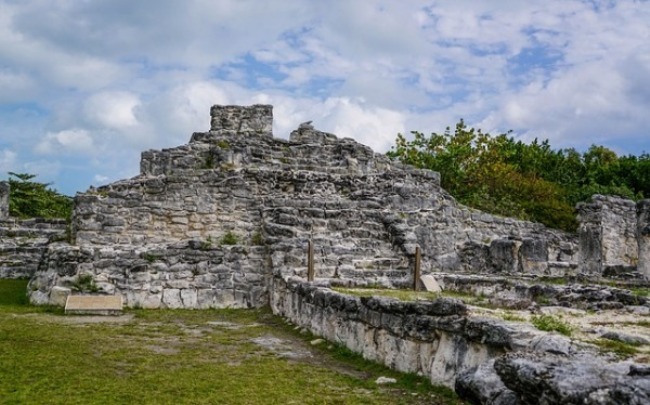 On-site car hire service also makes nearby attractions, such as Chichen Itza, and Ek-Balam, easily accessible and help to make this one of the best family friendly all-inclusive resorts in Cancun. Located 30 minutes from Cancun International Airport, on a private stretch of beach, this hotel is one of the best Cancun family all-inclusive resorts. Featuring 2 outdoor pools and 4 restaurants, this resort pampers families so that the only thing you need to think about is having fun. Every room features private balconies, a minibar and flat-screen TV with satellite channels and a desk. Suites and villas are available as well, and the villas also feature exclusive amenities such as butler service and 24-hour room service. 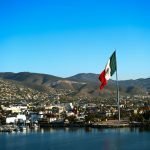 Dining options include Italian cuisine at the El Mirador restaurant; Cocay restaurant offering an international buffet; La Concha offering à la carte breakfast “Waffle house”, seafood dishes for lunch and Mexican gourmet cuisine for dinner. El Oriental Restaurant serves oriental cuisine and there is also a deli and 2 snack bars. Guests can enjoy water sports such as swimming, snorkelling and water-skiing from the hotel’s private beach. A fitness centre, spa treatments and massages are available at extra cost. 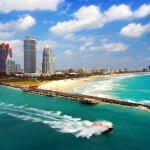 10 minutes away is downtown Cancun and its lively nightlife. Mexico’s beautiful Mayan Riviera is the location of this exceptional beachfront resort, one of the best all-inclusive family resorts in Cancun. 7 on-site restaurants guarantee a wide range of cuisines and dining options. A variety of entertainment and activities are offered daily. Lounge by one of the resort’s 3 swimming pools or try a horseback ride through the forest. Diving lessons, kayak rentals and basketball courts tempt those seeking a more active holiday, while the resort’s mini-golf course offers a fun family-oriented afternoon. Superior rooms and suites accommodate up to 3 adults and one child and offer a balcony, mini-bar, satellite TV and a seating area. Kids from 4 to 12 years old will enjoy the Barcy Club Colonial where they have fun activities daily. Babysitting is available at this family friendly Cancun all-inclusive resort. The setting of a palm tree-lined beach, sparkling pools and close proximity to day-tripping attractions make this resort one of Cancun’s best all-inclusive family resorts with waterslides. Surrounded by the sparkling waters of Cancun, Mexico, in the Hotel Zone, this all-inclusive resort offers a wide range of recreational activities and a central location from which to explore the city of Cancun. One of the best family all-inclusive resorts in Cancun, the Park Royal Cancun provides a state-of-the-art fitness centre and leisure activities for everyone including scuba diving, fishing and windsurfing. The standard rooms offer 2 double beds and rooms can interconnect, to create roomy accommodation for larger families. A TV, in-room safe and full bathroom are featured. The Presidential Suite offers 2 double beds and an outdoor patio with seating and a hot tub. There is an outdoor pool and sauna for relaxing and the nightlife and shopping of Cancun are located nearby for quick jaunts into the city for entertainment. Situated 35 minutes from the airport and 7 km from downtown, Villa Del Palmar Cancun is a perfect choice for a best family all-inclusive in Cancun. The city’s shops are easily reached, while the hotel itself offers comfort and convenience with 24-hour room service, Wi-Fi in public areas, valet parking and a car park. The resort offers 415 tastefully decorated rooms and suites, with LCD/plasma TV, whirlpool bathtub, air conditioning and a desk. The ocean or garden-view rooms and suites range from rooms accommodating up to 2 adults to two bedroom suites which are great for families. These come with 1 king bed in the master bedroom and 2 queen beds in second bedroom, a living room area with 1 queen Murphy bed, a dining area, fully equipped kitchen, washer and dryer, three full bathrooms, whirlpool tub in master bedroom, and balcony with ocean view. This spacious option makes the Villa Del Palmar Cancun one of the best family Cancun resorts. The hotel’s recreational facilities include a private beach, fitness centre and sauna. There is a kid’s club and an outdoor pool plus a children’s pool. Hyatt Ziva Cancun is located in Cancun, 17 km from the international airport. The stunning beachfront location offers white beaches on the blue Caribbean Sea, luxurious rooms and suites and many activities, making it one of the top Cancun family resorts. Luxurious suites with balconies and stunning ocean views offer a flat-screen TV and coffee machine. All rooms have a private bathroom equipped with a shower, balcony, bath robes and slippers. The activities include theatre shows and water sports such as diving, sailing, swimming and snorkelling. A microbrewery and pool bar offer drinks. Choose to lounge in a beach cabana and soak up the Mexican sunshine next to the swimming pools. Butler service is available and a pampering spa offers massage, hydrotherapy and body treatments. Exceptional service and luxurious amenities make the Hyatt Ziva Cancun one of the best family friendly Cancun resorts. Located 20 minutes by car from Cancun International Airport and 10 minutes from the town centre of Cancun, this apartment-style hotel is one of the best family friendly resorts in Cancun. Suites Malecon Cancun offers panoramic views of Cancun and Nichupté Lagoon. The Americas Shopping Mall is very close by, offering restaurants and shops. The resort has an infinity pool and a hot tub, BBQ facilities, and sun terraces with beds and loungers. A gym and a business centre provide additional services for the busy parent. Apartments are fully equipped with a flat-screen TV, fully equipped kitchen, private bathroom with shower, and a bedroom. Toiletries are provided. Suites Malecon Cancun has a beach club located within the hotel zone. 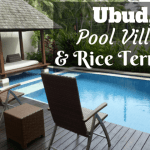 This apartment-style accommodation offers value with added amenities for families who prefer an independent-style of holiday. Purchase take-out meals or groceries to prepare meals in the suite, and relax afterwards on the terrace or by the pool. This downtown Cancun 4.5-star resort has excellent amenities and comfortable rooms, plus a beach club, making it one of the top Cancun family resorts. The 132 rooms feature an in-room safe, TV and internet access, a microwave and fridge. Breakfast is included in most rates. A restaurant and laundry service/dry cleaning are located on-site. The beach club is also available for an additional charge. The outdoor pool and gym provide a way to unwind after a day of exploring, and the location allows for easy access to the city’s exciting shops and dining options. Friendly staff and bus service outside the door help make this resort one of the best family friendly Cancun resorts. This Cancun family friendly resort is located 15 km from the city centre and is nearby the Cancun International Airport. Guests can enjoy free Wi-Fi in all rooms, facilities for disabled guests, room service, a car park and tastefully furnished rooms. Rooms feature 2 double beds, an LCD/plasma TV, free Wi-Fi, air conditioning, and a desk. A fitness centre, outdoor pool, garden and hot tub allow guests to enjoy the sunshine and relax after a day of exploring. An airport shuttle service is available and laundry service is provided. The coffee shop and on-site restaurant offer on-site dining. 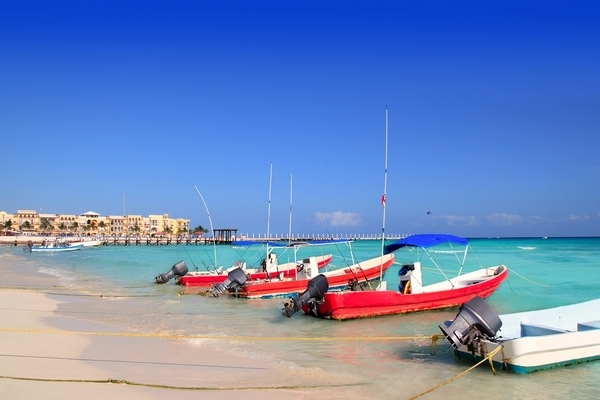 Quality, comfort and airport location makes this one of the best family friendly Cancun resorts. Just 15 minutes from the Cancun International Airport, the Four Points Cancun by Sheraton is a superb choice when booking a Cancun family friendly resort. Offering an outdoor pool and a restaurant, the hotel offers free Wi-Fi and air-conditioned rooms with a coffee machine and cable TV. Private bathroom with a shower, a work desk and suites offer a seating area and a hot tub. Four Points Cancun by Sheraton features a 24-hour front desk, a bar, free parking, an outdoor pool, fitness centre and spa. There is a games room, a library and a solarium. Luggage storage and babysitting service are available. Bright and modern rooms, many with panoramic views, ensure comfort and excellent value. What’s your top pick of the family friendly resorts in Cancun? Great recommendations! It’s good to know that there is always a free wi-fi around and all places are so family friendly :).